The issue of poor quality service, use of multiple phones and porting from one network to another may soon be history in Nigeria’s technology space. 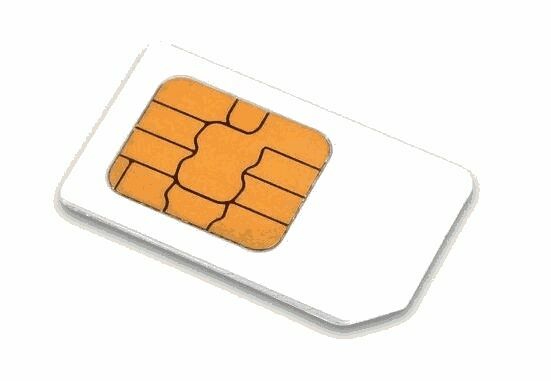 If the Super Sim Card Innovation to be introduced by a team of researchers from University of Technology, Minna, becomes a reality. The research work which started three years ago was commissioned and sponsored by the NCC to pave way for indigenous and novel technologies that could disrupt the existing technologies and also address problems in the industry. The Vice Chancellor of Federal University of Technology, FUT Minna, Prof. Abdullahi Bala on Monday led a team of researchers comprising students and scientists from the university to present two technology innovation projects funded by the Nigerian Communications Commission, NCC. The NCC coughed out about N4.7 million for the two projects, Seamless Multiple Operator enabled SIM cards and mobile communication enabled walking stick. They are designed to address the issue of subscribers using multiple phones and SIM cards due to poor quality of service. The project is particularly in keeping with the consideration for national roaming that is being promoted by the commission. Presenting the novel devices, the Lead Researcher and Head, Department of Mechatronics Engineering , FUT Minna, Prof. Abiodun Aibinu explained that the first project, the Seamless Data and Voice Connection Over Multiple Operator enabled SIM Card allows a subscriber the opportunity of having one SIM card for all networks or one mobile phone with one SIM card for all networks. Aibinu said that the innovation is a major disruption in the status quo ante of the Nigerian telecom landscape because the device with the SIM gets the signal of all available networks in a particular location. He said: “We are talking about disrupting the ecosystem in the telecommunication industry in the sense that with just one SIM card, you can access the available networks without porting or buying multiple SIMS. “People carry a lot of phones or SIMs these days as a result of poor quality service and the uncertainty of network strength of an area; so using basic engineering and the technology behind Mobile phone, we applied Artificial Intelligence, AI system to enable the device takeintelligent decision on behalf of the user in switching from the network with poor quality service to another with better quality service. “What this means is that immediately the product hits the market, subscribers would truly become kings as they can enjoy quality service even without having more than one phone.” On the second innovation, development of Mobile Communication enabled walking stick, he also explained that the innovation is a mobile phone embedded walking stick designed to aid the user, especially the aged and the blind navigate through dangerous spots, and at the same time make calls when necessary. Explaining why NCC threw money at the innovations, Executive Vice Chairman of the NCC, Prof Umar Danbatta said it was in keeping with the consideration for National Roaming Plan that the commission feltit would be worthy to give such innovations a trial Danabba, who was represented by one of the commission’s Executive Commissioners, Engr. Ubale Maska, commended the team for living up to its tasks of utilizing the N4.7million grant to innovate a disruptive technology that could enhance the existing quality of service in the country. He contended that since the innovation is looking into the future it would be of immense benefit to the telecom industry because the industry is very dynamic.